Digital advertising refers to any advertising that takes place online. Several channels are available for advertisers to place ads and includes tools to manage campaigns for each channel. Each channel supports different types of digital media and placement options for catching the eyes of potential customers. Different channels also have varying metrics by which advertisers are charged. In short, advertisers have a lot to think about. 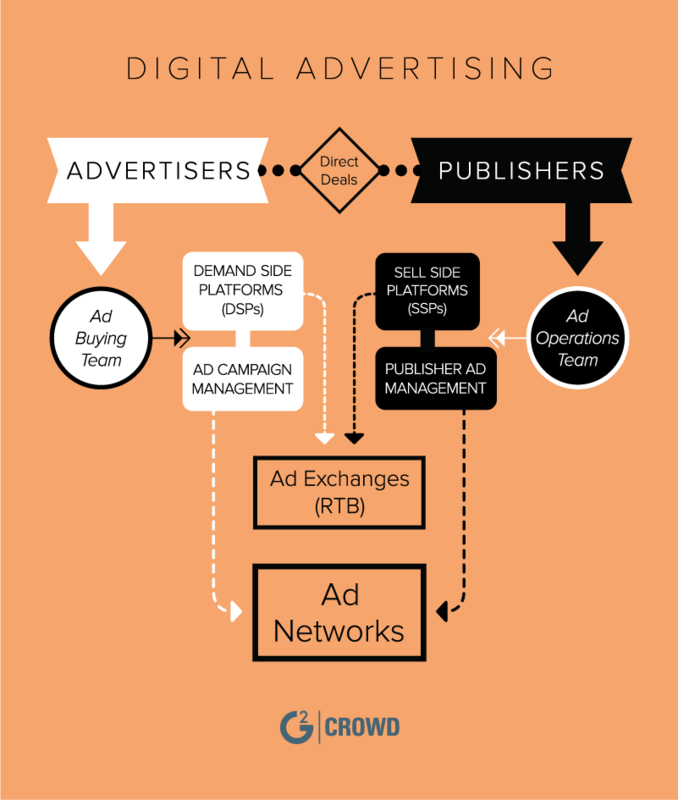 To simplify it all, G2 Crowd has pulled together a breakdown of each digital channel to provide the background needed to implement a digital advertising strategy. While this guide focuses specifically on the options advertisers have when entering the online advertising landscape, including the digital advertising software that might be best for your business, the space as a whole is much broader and includes other parties, such as website publishers. From the advertiser perspective, the main concern is buying advertising space on publishers' websites in order to reach their desired audience. Advertisers do that either through direct, person-to-person deals or by buying digital ads programmatically through advertising software. Advertiser campaign management tools help advertisers serve and manage ads through a variety of ad channels. Digital channels include display, video, mobile, social, and search. Additionally, DSPs are included in advertiser campaign management products as they are needed to bid on and serve ads in real time through ad exchanges. What are the Goals of this Guide? Why: Why is that channel important? What makes it unique and why should you consider it? Where: are potential customers going to see these ads? On what kind of websites and where on the page are these campaigns located? Formats: What are the different ad formats that a channel supports? What are they called and what are the specifications? What do these ads look like? Pricing: How are ads on this channel priced? By which metrics are ads being charged (i.e. CPC, CPV, CPA)? What are the average prices for these ad formats? Trends: What are practitioners and experts in the digital advertising space talking about with regard to each channel? What trends should you be aware of when considering advertising on a channel? Continue to the guide below. At the end of which, readers should feel well-versed and confident with the advertiser side of digital advertising space. Cross-channel advertising refers to the process of advertising across multiple digital advertising channels through either direct deals with publishers or cross-channel advertising software. Advertisers have several avenues through which to advertise online, with search, display, mobile, social, and video advertisements all being viable options for reaching potential customers. While digital marketers may already be utilizing one or two of these channels, forming a comprehensive and cohesive cross-channel advertising strategy helps ensure advertisers are reaching the right audiences. Why is cross-channel advertising important? Now more than ever, consumers are interacting with an ever-expanding set of media on any number of devices. According to Nielsen’s 2014 report on The Digital Consumer, Americans own four digital devices on average and spend an average of 60 hours a week consuming content on them. On top of this, desktop usage has continued to grow, with ComScore reporting and increase of 37% in 2014. As consumers’ media consumption habits become increasingly more liquid: flowing from device to device, from short- to longform video, and from social media to news articles, it is becoming more and more difficult to track down where audiences are at any given time. Whether they are browsing the web on desktops, watching the new episode of The Walking Dead on tablets, or checking Instagram on their phones, it is important for advertisers to have their campaigns reach their audiences anytime and anywhere. What's important to know when adopting a cross-channel mindset? Cohesive Data is Key — Audiences are jumping all over the map, interacting with brands on a multitude of different touch points. For cross-channel exploits to be most successful, it is important to reel in all of these real-time data points and form a cohesive, integrated consumer database. As the Boston Consulting Group highlights highlights, “Advertisers should ensure that no major digital assets are being underleveraged… and that no data is lost along the way.” An increased focus on data-driven marketing and cross-channel measurement is critical to organizations looking to optimize spend and reach audiences across all of their integrated advertising efforts. Consumers are in Control — With consumers having their choice of what media to consume and where to consume it, advertisers need to relinquish control to them and present their brands to where their target audiences naturally are. What tools can help garner cross-channel advertising success? While the big-money digital advertising buys are still made through direct deals between advertisers and publishers, the majority of digital ads are increasingly being purchased through programmatic technology. Below are a few tools that help advertisers best manage their cross-channel advertisements. Cross-channel advertising software manage ads across three or more digital advertising channels. Few, if any, cross-channel advertising platforms access all advertising channels. Furthermore, performance across channels isn’t particularly consistent in any single product, and many platforms only truly excel on a couple of channels. As mentioned above, it is important to integrate real-time data to achieve the best cross-channel performance. Data Management Platforms (DMPs) help advertisers do this. DMPs are key for cross-channel initiatives as they help companies keep all customer data in a single, centralized location. They serve as a central hub for all customer data, integrating every consumer touchpoint into a single reservoir of information. DMPs also offer a wealth of third-party data providers that add another dimension to existing information. DMPs analyze all of this information and recommend high-value audience segments for advertisers to target in future efforts. As audiences continue to diversify their media consumption habits, digital marketers need to adopt a cross-channel mindset in order to keep up. Understanding the differences in each approach is a good start, but as the landscape is in a constant flux, staying on top of digital advertising trends will help keep advertisers a step ahead. Paid search, also referred to as search advertising, search engine marketing (SEM), or pay-per-click (PPC), is the process of advertising on search engines such as Google, Bing, and Yahoo!. Search advertising software serves to automate this process. Search marketers use paid search in conjunction with search engine optimization practices and SEO software to form a comprehensive search marketing strategy. Search marketers may also utilize other digital advertising channels such as display, mobile, social, or video as further avenues to reaching their target audience. 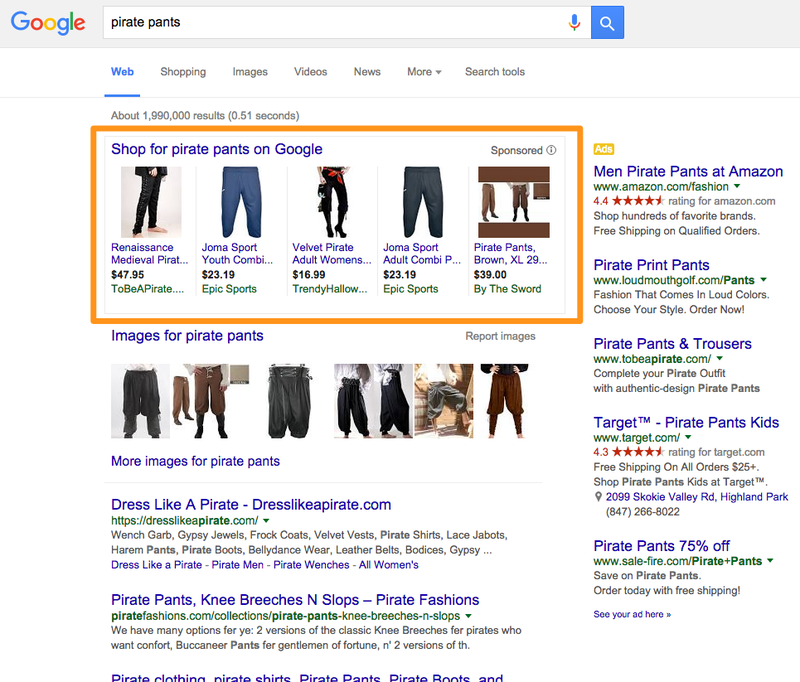 Why is paid search advertising important? 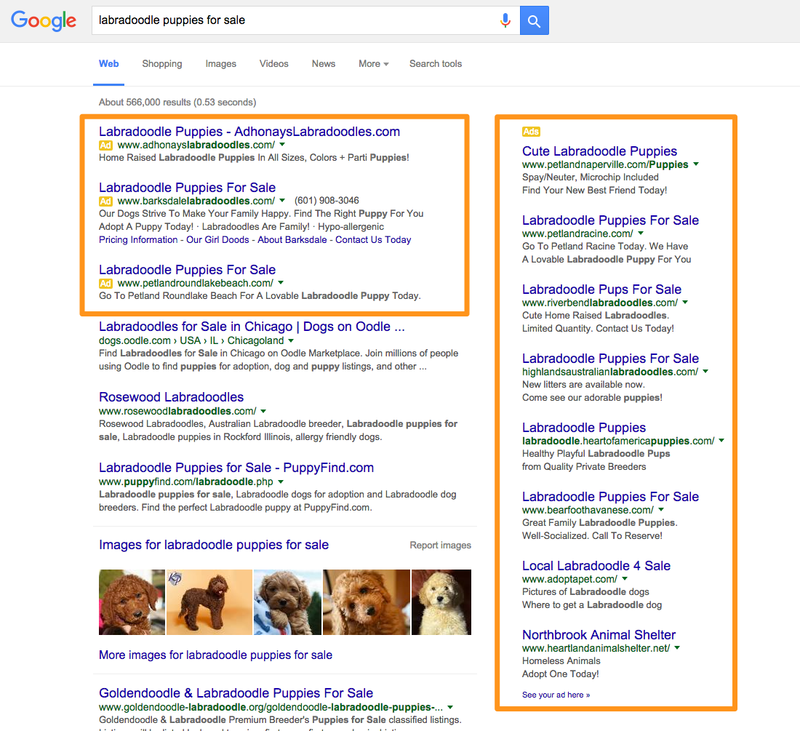 What do search ads look like? Mobile Prominence — In May 2015, Google reported that more searches are performed on mobile devices than PCs in the US. As more and more users turn to their phones and tablets to search, companies are seeing more mobile clicks. As such, advertisers should take a mobile-first approach and take appropriate measures to optimize their PPC ads accordingly. Making sure landing pages are fast, simple, and to the point will be key to getting the most out of your paid search advertising. Personalized PPC — With more data than ever on searchers’ personas, paid search advertising will continue to become more data driven. In particular, remarketing will continue to increase, allowing marketers to “follow” their audience around the web based on a consumer’s prior engagement with your brand. This people-based marketing is becoming ever more evident as conversion rates of these ads grow. The logic is simple, your audience is much more likely to click something when they have engaged with it already. Keyword Importance Waning — It is the “beginning of the end for keywords“, according to Larry Alton, contributor to Search Engine Journal. Experts predict that keywords will be knocked off as top priority in PPC strategies with the adoption of product listing ads (PLAs) and search engines’ growing focus on semantic search. Online display advertising is the process of advertising a company or product on websites. Display ads come in a variety of shapes and sizes and serve to encourage audiences to engage with the company associated with the ad. Marketers and advertisers use display advertising software in order to target, purchase, manage, and track display advertisements. Along with paid search advertising, display advertising is one of the most used forms of online advertising. Why is display advertising important? 90% of agencies and marketers agree that display ads help with branding and as one of the more common forms of online advertisements, display ads have been made fairly accessible to businesses of all sizes. Display advertising serves to grow brand awareness, gain more website traffic, and increase sales. Display ads have a broad reach and access to millions of web surfers. This allows you to comb through the masses to target your ideal audience and improve the likelihood of them engaging with your advertisement. 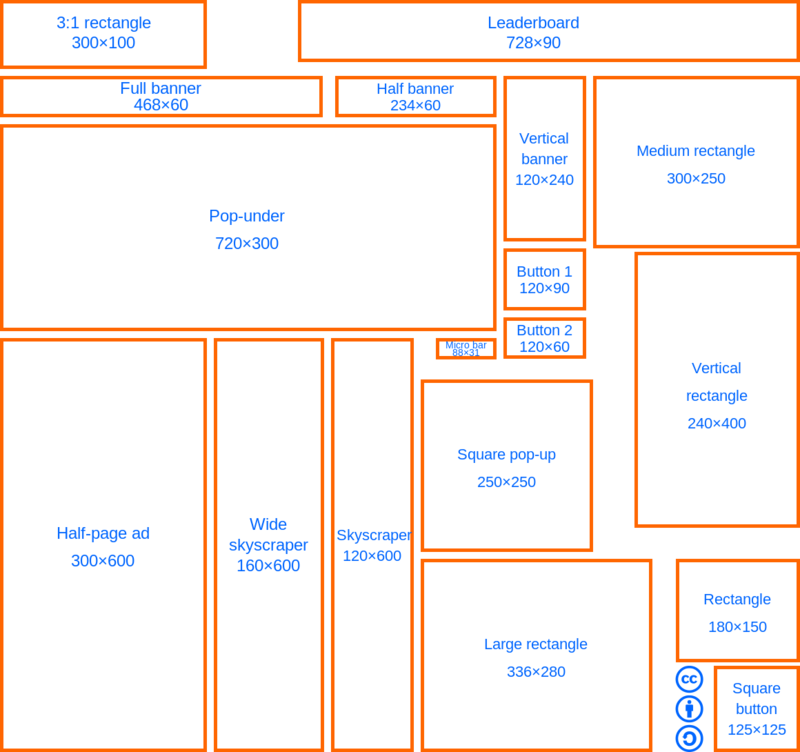 Where are display ads located? Display advertisements run across any website that wishes to monetize its content by selling ad space on their page. Ads can appear in several places on a website, and vary depending on the layout of each particular page. Common locations include on the top of the page, to the right of content, and on the bottom of the page. Display ads may also overlay a site’s content such as articles or videos. How are display ads formatted? Banners are the most common display ads are banner ads. Banners come in a variety of different shapes and sizes and can appear in various places on a website. Overlays are shown on top of written content, static content, or video content. Rich Media advertisements are non-static banner ads that are animated, include a video clip, or allow the viewer to interact with it. Rich media ads, when prompted by hovering or clicking, or after the page loads, might expand to show a larger, more engaging ad. How are display ads priced? Display ads can be paid for based on three different metrics: cost per thousand impressions (CPM), cost per click (CPC), and cost per action (CPA), also known as cost per conversion. The average CPM for display advertising is $2.80, according to MonetizePros’ CPM Rate Guide. What are important trends in display advertising? Continued Growth of Programmatic and RTB Advertising — While advertisers have already largely adopted programmatic advertising, eMarketer estimates that programmatic spending will equate to 55% of total display ad spending. A major driver of this increase is the fast growing adoption of real-time bidding (RTB). As publishers and advertisers alike are reaping the benefits of RTB, a higher percentage of ad budgets are being shifted to the process. Accordingly, research from Business Insider estimates that spending on RTB advertising will top $26 billion by 2020. Ad Blocking Software — Ad blocking software is used to remove ads on websites, search engines, and social media sites and has been adopted by almost 200 million desktop users. While many advertisers do not seem to be worried by these programs (yet), publishers are feeling the heat as they lose out on a chunk of their audience to which they can serve ads, and in turn, a chunk of their advertising revenue. Native Advertising — One response to ad blocking software is the growing presence of native advertising. This is advertising content that is not formated as traditional advertisements, and instead as content that mimics that format of the publisher’s content. While this is also a debated topic, with critics claiming it is misleadingand proponents claiming it is more relatable than traditional ads, native advertising appears to be continuing to grow moving forward. Ad Fraud — One of the major plights facing the digital advertising industry, and display advertising in particular, is the effect that bots have on their online advertising performance. It has been reported that $6 billion is lost to fraudulent advertising per year by accounting for portions of advertisers’ impression and click metrics. While this should not deter advertisers away from the online advertising, they should nonetheless be aware of the issue and account for it as much as possible. Few advertising mediums, online or offline, have the massive reach that online display advertising provides. With the variety of shapes, sizes, and formats they come in, advertisers have a myriad of options at their disposal and can fit display ads in just about any nook and cranny a website will allow. While there are some apparent issues facing the channel with regard to ad blocking software and ad fraud, it is still one of the most widespread methods for getting your ads out there. Mobile advertising is the process of advertising across mobile devices such as smartphones, tablets, and (increasingly) wearable technology. Advertising on mobile devices is nothing new, but the focus on the channel is increasing as more and more time is spent on mobile devices. Mobile advertising software is used by advertisers to buy, manage, and track mobile advertising. Marketers may utilize mobile advertising in conjunction with other digital advertising channels such as display, search, social, or video to diversify their advertising strategy. Mobile device adoption is growing… fast. The world now has more mobile devices than people (7.6 billion+ compared to 7.2 billion people), and more and more of these devices are smartphones, with a projected 2 billion consumers adopting the technology by 2016. As more of marketers’ audiences step away from their desktops and surf the web on their mobile devices, it is important that marketers remain front of mind and engage with them regardless of where they are. Furthermore, not only are mobile ads getting noticed more than desktop ads, but users also report that they are more likely to click on mobile advertisements. Mobile advertising as a whole is trending upward, and businesses should be prepared to embrace this wave and incorporate mobile as a key component of their online advertising strategy. Where are mobile ads located? Mobile advertisements are ads that run on mobile devices such as smartphones and tablets. Mobile offers very similar options as other channels, but tailored specifically for mobile devices. Mobile ads can be found on mobile version of websites and within mobile applications. How are mobile ads formatted? Mobile banner ads function the same as display banner ads and offer much of the same functionality. That said, with the more limited real estate on mobile sites compared to desktop sites, mobile banner ads do not offer as vast of a range of sizes and shapes. Mobile video ads are video advertisements that are optimized for mobile. Along similar lines as mobile banner ads, the format options on mobile are more limited due to the space restrictions. In-app ads are, as the name suggests, ads that appear inside mobile applications. Strategies for in-app advertising vary, but common methods include typical banner or interstitial ads within the app, offering rewards as a part of gaming apps, or creating custom apps from scratch. Interstitial ads are essentially full-page banner ads that take up the device’s entire screen. These ads give advertisers more real estate with which to work compared to typical mobile banner ads that are small and hard to squeeze information into. Interstitial ads can be interactive or play videos as well. The ads give viewers the option to close the ad by clicking a small “x” in the upper right or left corner, which will typically appear after a couple seconds of the ad being displayed. How are mobile ads priced? Mobile ads typically are purchased on a CPM basis, though more engagement-based metrics such as CPC and CPV are also an option. The average CPM for mobile advertisements varies by operating system and format, but ranges between $0.15 and $5.00. What are important trends in mobile advertising? Mobile Spend Rising — Mobile ad spend is on the rise overall, and is beginning to catch up with more established desktop advertising spend. By 2016, it is predicted to account for 51% of the digital advertising market worldwide, and 72% of US ad spend by 2019. Ad Blocking — The use of ad blocking software has been growing on desktops for a while, with nearly 200 million users adopting the software. But with Apple announcing that iOS 9 will support ad blocking apps, as well as an increase in ad fraud, advertisers and publishers alike are warning this will cause an Internet apocalypse. While some sources predict this change will cost the industry more than $20 billion, others believe the hysteria is overblown and will be severely less hazardous to the industry. In-app Trumps Mobile Web — As previously mentioned, mobile ad spending as a whole is growing quickly, but spending on in-app ads is growing particularly fast. Mobile app ad spend is set to outpace mobile web browser ad spend by nearly 3-to-1. That equates to a 42.6% projected growth in 2016, compared to 36.7% for mobile browser adoption. Mobile Video — Another fast-growing digital advertising format is mobile video. While it currently accounts for only a sliver of total mobile ad spending, Business Insider predicts it will grow to top $4.4 billion in 2018. As the focus on mobile advertising continues to grow at lightspeed-rates, it is crucial to know what your options are for advertising through the channel. If they are not already, your audience will start spending more time browsing the web on their phones and less on desktops, and making sure you are in front of them regardless of the channel could be key to boosting your revenue or brand awareness. While the channel is not yet as mature as others, practitioners are working hard to iron out the kinks to create engaging, non-invasive, and (perhaps most importantly) trackable ads. Crowds of advertisers have already begun to adopt a mobile-first mindset, and it won’t be long before mobile-first is the standard way of thinking. Social advertising is the practice of placing ads on social media sites such as Facebook, Twitter, and LinkedIn. Marketers and advertisers use social advertising software to help to automate and streamline the ad buying process on social media sites. Social media advertising is fast growing, but still relatively young. Offering advertising solutions is often seen as a sign of maturity for social networks as they work towards monetizing their efforts. The availability and robustness of social advertising capabilities on any given social network is highly dependent on the popularity of the site as well as how long it has been around. While social advertising is only one piece of a digital advertising strategy, marketers also use other channels such as display advertising, mobile advertising, video advertising, or search advertising to form a comprehensive approach to digital advertising. Where are social ads located? Social advertisements run on social networks and serve to expand a company’s reach beyond those already following them. Social advertising varies from one social media site to the next depending on specific qualities of each individual site. One of the more common ad placements is in the post feed, where it can appear more natural to potential viewers. As the number of social networks increase and the market adapts and adjust, new formats are sprouting up to help best serve the advertiser while being minimally abtrusive to users. How are social ads formatted? As each social network is unique in its design and functionality, formats vary from platform to platform. One common strategy that is used on multiple platforms is the concept of a promoted post that appear in the platform’s content feed. Businesses pay the social network for these ads in order to extend the reach of their post. Digital marketing agency Flightpath created this convenient infographic cheat sheet displaying the ad formats for Facebook, Twitter, Google+, LinkedIn, and Instagram. Other popular social media sites with advertising solutions include Pinterest, Tumblr, and Foursquare. How are social ads priced? Social ad pricing follows the same format as other advertising channels, charging advertisers on a CPC or CPM basis. Social ads vary in price based on several factors, including the size of the target audience, demographic, the ad format, and the social media network, to name a few. The average CPC and CPM of Facebooks ads are $0.27 and $4.03 respectively. What are important trends in social advertising? Budget Diversification — While Facebook continues to dominate ad budgets, companies have begun to diversify their social advertising budget and embrace a new batch of social media sites. Marketers continue to spread ad budgets to the most popular social media sites like the fast-growing Pinterest, Tumblr, and Snapchat in hopes of tapping into new and engaged audiences. Moving forward, it will be key for marketers to remain agile and adjust their budgets to the constantly fluctuating social media landscape. Social Shopping — Buy buttons have come to social media, allowing retailers to make sales directly through major social media sites allowing social media marketing efforts to be more targeted into Facebook marketing, Twitter marketing, and Pinterest marketing efforts.. These buttons have the potential to benefit businesses by streamlining the transaction process, increasing revenue opportunity, and (potentially) saving them money on interchange fees. This trend is still new, however, and critics are skeptical of both its adoption and performance potential. That said, for retailers looking to get items in front of a massive audience, the time may be now to dive in and test social media buy buttons. Video Content — Video content on social media is heating up. This is due in large part to the increased engagement video posts garner. Facebook posts receive 25% more engagement when they contain a video, and Instagram videos and IGTV receive two times the engagement of Instagram photos. While videos are naturally more costly to produce than picture and text content, existing video content can be repurposed to share on social media. Advertising on social media sites allows for access to audiences of all shapes, sizes, and demographics. And these audiences are glued to these sites, with users averaging more than an hour on social media per day. Learning to leverage social advertising practices to extend organic reach is crucial to growing brand awareness and revenue in an increasingly social world. Online video advertising is the process of using video content to promote a company or product on websites. Marketers and advertisers use video advertising software to help automate and streamline the process of buying video advertisements online. Advertisers may also tie in display advertising software, mobile advertising software, social advertising software, or search advertising software in an effort to form a comprehensive digital advertising strategy. 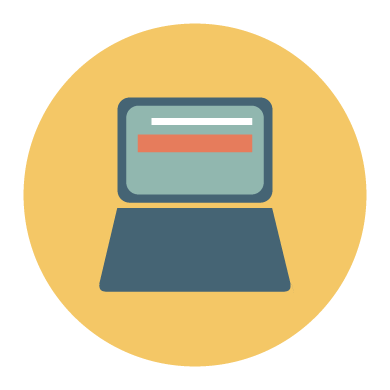 85% of companies that utilize online video advertising find it successful. This is due in part to the fact that video content, advertising or not, is among the most engaging forms of online content. With specific focus on advertising, this means that marketers’ video ads will likely be more effective than other ad formats. For instance, Google reported in August 2015 that online video advertisements improved ad recall rates. Furthermore, online video advertising offers advertisers the highest average CTR of any digital advertising channel at 1.84%, and consumers are 64% more likely to purchase a product or service after interacting with it through video. To top it off, views of online video ads are skyrocketing, with Business Insider reporting an average year-over-year growth of 100%.. As such, online video ads not only improve brand awareness, but can also have an effect on the bottom line as well. Where do video ads run? The most common form of online video ads are linear and nonlinear formatted ads (outlined below)—these ads are run within video players where content is playing. Video ads can also be placed as companion ads alongside other content such as articles, games, or other videos. How are video ads formatted? In-stream video ads are ads that are played within the video player where the content is being played. There are two main kinds of in-stream ads—linear and nonlinear. Linear video ads play sequentially with video content. The most common linear ads are pre-, mid-, and post-roll ads that run before, during, and after video content. Depending on the video streaming platform, these ads can be either skippable or non-skippable. Nonlinear video ads run at the same time as the video content, and typically come in the form of overlays, be it full screen or a smaller banner at the bottom of the video. These ads tend to give viewers the option to close it immediately or after several seconds. In-banner video ads run alongside web content in the form of a banner ad. These ads may be a companion to video content as it plays or as a banner ad alongside other web content such as articles or blog posts. In-page video ads run in a video player that is used specifically for the video ad without any other video content present. These video players are typically placed in similar locations as banner and other display ads, and may offer the option to be auto-played once a viewer visits the page. How are video ads priced? Video ads can be purchased on a CPM basis, but are also typically priced on a cost per view (CPV) basis, allowing advertisers to pay for the ad only if someone watches or interacts with it. The average CPM for video ads is $3.00. What are important trends in video advertising? Video Ad Growth — Video advertising is growing, with companies shifting more and more of their advertising budgets to the channel. Next to mobile advertising and SMS marketing, online video advertising is the second-fastest growing advertising channel, with video ad revenue having an estimated growth rate of 19.5% between 2013 and 2016. In particular, increased mobile and social video advertising is driving this growth. Mobile Video Growth — Mobile video ad revenue is predicted to have an average annual growth rate of 73% between 2013 and 2018. As the number of mobile devices increases, more and more consumers will be viewing video content on their smartphones and tablets. Social Video on the Rise — With social media sites putting more effort into their video offerings, social video advertising is becoming ever more prominen. Programmatic Video — Online video advertising has been slow to adopt a programmatic approach due to the complexity of video advertising (compared to display advertising), as well as the scarcity of video ad inventory on publishers’ sites. However, experts are optimistic that programmatic video advertising will hit its stride in the next couple of years, with eMarketer forecasting that 65% of online video ads will be bought programmatically by 2017. Although online video ads cost more on average and are significantly more expensive to create, the engagement garnered through the channel is unparalleled among all digital advertising channels. As the industry begins to overcome the obstacles associated with video content, look for the prominence of video advertising to quickly rise. Demand side platforms, or DSPs, give advertisers the ability to buy ads in real time through a process called real time bidding (RTB). DSPs are not a specific advertising channel but instead allow advertisers to reach individuals instantaneously in real time. With DSPs, advertisers can purchase ads on an impression-by-impression basis, by bidding on an incoming impression within the milliseconds it takes for a web page to load. How does the RTB process work? At the center of the RTB process are advertising exchanges. Ad exchanges serve as the middleman between advertisers and publishers. They integrate with both the DSPs as well as the publisher counterpart, supply side platforms. SSPs start the process by sending information about the incoming impression to an ad exchange. This includes what the ad unit is, where it is located, and any demographic and geographic information associated with the impression. DSPs that are integrated with that exchange then assess the impression, determining if it matches the advertisers desired audience and any other guidelines they have set. If it’s a match, the DSP will then place a bid on the impression. The bid is determined based on an algorithm that takes a plethora of factors into account such as the time of day, location on the page, similarity of the impression to the target audience, among many, many others. Once all bids are made, the SSP will select the bid that is the highest and place that ad accordingly. How do advertisers benefit from using DSPs? Enhanced Targeting — Because ads are purchased in the seconds before a web page loads, advertisers know a lot of information about who will be viewing the ad. This includes the demographics, time of day, and sites visited previously, to name a few. This allows them to more accurately target their ads and make sure that every one of their ads is being seen by their desired audience. This also eliminates the possibility of ads being shown to low-value audiences who are unlikely to engage with the brand. Pricing Control — With DSPs, advertisers have a lot more power over how much they pay for an ad. Instead of an ad unit being purchased through an ad network, where the price is marked up considerably, advertisers can decide how much an audience is worth to them and pay what they believe to be a fair price. Streamlined Ad Buying Process — Using DSPs removes much of the human negotiation out of the ad buying process. This allows ad buying to be less time-intensive and less costly, making the process as a whole much more efficient. DSPs have become an essential component of advertising technology stacks, as RTB now accounts for 92% of all programmatic advertising transactions. While the current majority of ads purchased through DSPs are display ads, many are currently in the process of broadening their offering to better support buying video, social, mobile, and search ads in real time. Ad networks serve as the middleman between advertisers and publishers. Ad networks buy ad units from publishers in bulk across websites and package them to sell to advertisers. Data Management Platforms (DMP) serve as a central hub for all of a company’s customer data, allowing them to manage, track, and visualize their customer information. DMPs also give companies access to a variety of third-party data sources and allow companies to create second-party data by combining company data with third-party data. Hi there! Can I help you find the best Digital Advertising solutions?